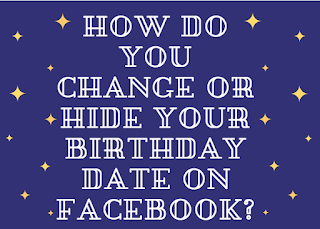 How do you change or hide your Birthday date on Facebook? Maybe you put in a wrong day, month and year as your birthday on Facebook or maybe you don't want your friends to know your real age, you can make changes to it, be it changes to date or changes to month or even changes to the year. It all comes down to changing or hiding your birthday date on Facebook. You can also choose to make your birthday appear as just month or just as year and we will show you how to do that. 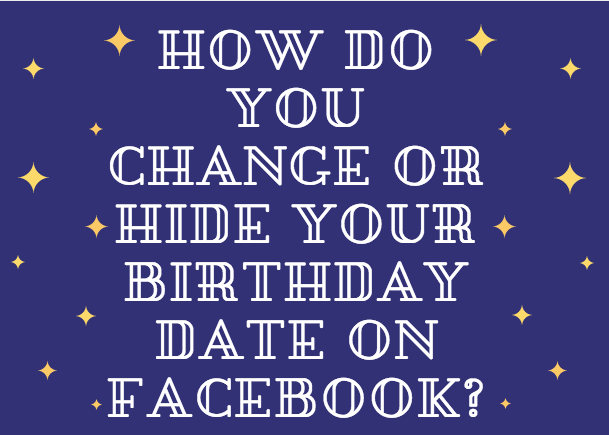 So, how do you change or hide your birthday date on Facebook? I believe that after reading this article, you won't ask your friend: How do you change or hide your birthday date on Facebook? Do you have any questions or suggestions? Kindly drop them in the comment box and also, do not forget to hit on the share buttons!